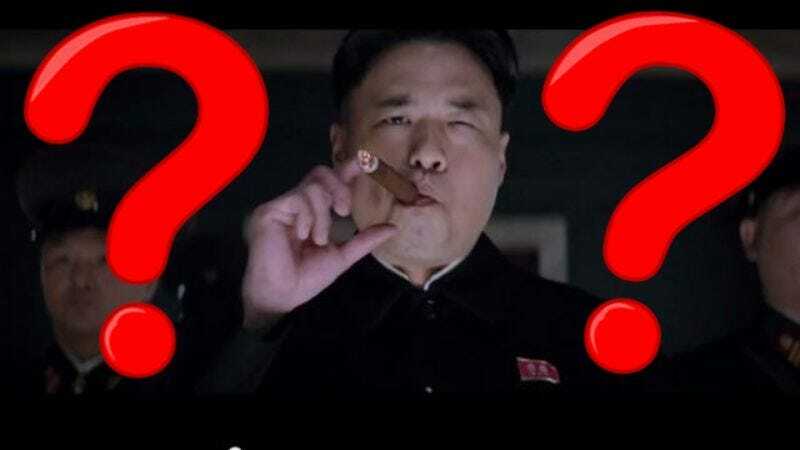 Just when we thought this whole Sony hacking thing had been wrapped up in a big, seasonally appropriate, record-setting bow, an independent security firm has cast doubt on the FBI’s conclusion that North Korea was behind the Sony cyber attacks. Those attacks, in case you’ve been in hiding from the FBI yourself, led to terrorist threats against theaters that screened The Interview, which led to major theater chains dropping the film, which led to Sony pulling the film entirely, which led to protests, which led to Sony releasing the film to independent theaters and digital distribution platforms, which all seemed to work out pretty well. This has all taken place with North Korea, which Sony suspected was involved from the start, in the background. Those suspicions were confirmed when the FBI released a statement saying it had “enough information to conclude that the North Korean government is responsible for these actions,” an assertion that was confirmed by President Obama during his yearly end-of-year press conference. But the FBI was not the only organization investigating the hack, and now the security research firm Norse Corp. says that it believes that the Sony hack was actually an inside job, with at least one former Sony employee helping orchestrate the devastating cyber attack with what Bloomberg describes as “hacktivists.” Norse has reportedly narrowed its search down to six individuals in the U.S., Canada, Singapore, and Thailand. That doesn‘t necessarily mean that that former employee or employees wasn’t working on behalf of or in tandem with the North Korean government, and, at least for the time being, the FBI is sticking by its assertion. And the executive branch is sticking with the FBI, with a spokesman for the White House’s National Security Council saying, “The administration stands by the FBI assessment.” But, much to the delight of our more conspiratorially minded Facebook friends, the FBI has been briefed on the new theory, and there’s still more to come in quite possibly the most complicated ongoing international conspiracy Seth Rogen and James Franco have ever been involved in.